1. Boil four liters of water. 2. Add salt, to taste. 2. Add spaghetti pasta to boiling water, stirring gently until water boils again. 3. Cook uncovered for 8 to 10 minutes or until al dente; drain. 4. 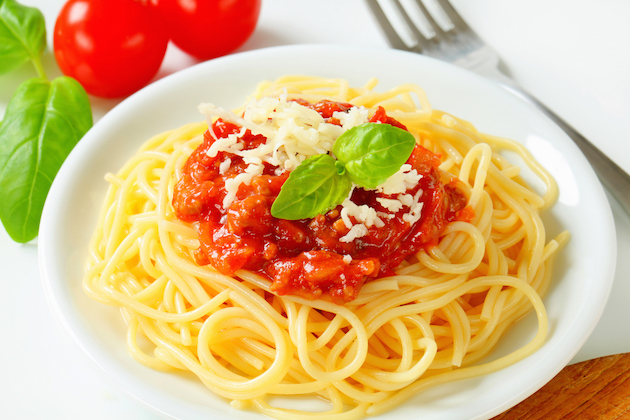 Serve desired amount of spaghetti pasta with marinara sauce.